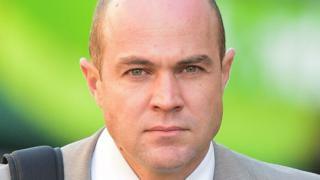 Emile Cilliers tried to murder his wife by sabotaging her parachute. To get what he wanted, he was willing to condemn Victoria Cilliers to a terrifying death: the unimaginable panic as she cut away her main canopy and waited - in vain - for the reserve to deploy. But as she fell to earth, it was her husband's life that was unravelling.It was the second time in the space of a few days he'd tried to kill Victoria, and the culmination of years of emotional and financial abuse.One person who is well aware of the dangers the charismatic South African poses to women is the mother of his first two children, Nicolene Shepherd. At his trial at Winchester Crown Court, Cilliers told the court he had not been in contact with his oldest two children - he has six - and their mother since he left South Africa in 2000. According to Nicolene, that is not quite true.She got together with Cilliers when she was 13 and he was 16. She gave birth to their first child shortly after her 16th birthday.She was delighted by the attention of an older boy, especially one so handsome, confident and manly. "He was charismatic and romantic. We used to go out for our monthly 'anniversary' and he would give me a long-stemmed rose every time. "Ms Shepherd told the BBC that even at a young age he had an easy charm. "All of the girls adored him." And he adored the girls. "You're young, you think you're in love. He cheated on me time after time and I always took him back," Ms Shepherd says. "He proposed to me using his grandmother's ring. We never made it to the altar, though. He was cheating on me with my best friend." Cilliers came to the UK on a working holiday visa and found employment in pubs and bars.As far as Nicolene was concerned, the two were still in a relationship. They had two young children and had recently moved into rented accommodation together in South Africa. Emile was simply going on a working holiday and would then return.On a trip home to visit his family at the end of 2000, he had not said anything to suggest otherwise. It was a bolt from the blue when Cilliers' mother told Nicolene he had married a British woman called Carly Taylor.Several years later, Nicolene had followed her ambition and moved to the UK as well. One day her daughter asked if she could get to know her father. Nicolene contacted Cilliers via his mother and he was keen to meet. They went out as a family to a water park.The spark between Nicolene and Cilliers was still there - and it just so happened, Cilliers claimed, that he and Carly were getting divorced. Nicolene, still under Cilliers' spell, got back together with him.One morning, as Cilliers left Nicolene's house, he left his phone behind. It rang. She answered and asked who it was. "It's the wife," Carly replied. They were actually still together. Soldier 'thought he would get "He asked what the hell was I doing, and we confronted him. "He was as calm as anything. He looked from one of us to the other, as if he was thinking 'who wants me the most? '"He chose me. And I knew then that I needed to walk away. Carly could have him." Nicolene says that in South Africa, she was struggling to afford nappies for their baby son. She asked Cilliers for help, but he said he had no money.The same day, he bought himself a pair of expensive golf shoes. Treating himself to luxury items when his money could be better spent elsewhere was a continuing pattern in his life. His father was unwell in South Africa and needed money for medical treatment, Cilliers told Victoria.She gave him the money - which he kept for himself. He was about ?24,000 in debt but would splash out on skiing equipment, golf clubs and gadgets. The British Parachute Association investigated Victoria's fall and discovered both her main and reserve parachute had been sabotaged. They handed the inquiry to the police who seized Emile Cilliers' mobile phones and computers.They discovered he was having an affair with a woman called Stefanie Goller. He was planning to leave Victoria for the Austrian woman, and sent her texts including: "I will sacrifice and give up so much for you... From April onwards I can do random and spontaneous." He later adds: "To be with you I would do anything. "According to the prosecution barrister, Michael Bowes QC, much of Cilliers' behaviour as a witness showed signs of having been "learnt" rather than being a display of genuine emotions.When giving evidence, Cilliers stayed completely calm, a trait various other witnesses at his trial mentioned. He was not a demonstrative man, and kept any emotions tightly in check.When Victoria asked her husband not to smoke in her car, he didn't rant, instead his face "went blank with fury", she told police during an interview.A colleague who was owed money by Cilliers was so enraged by him he "grabbed him by the scruff of the neck". Cilliers did not react. He just said he didn't want to talk about the loan. Nicolene agrees that Cilliers would not get roused in anger but once, while they were dancing, he leant over to her and whispered in her ear: "If you ever hurt me I will hurt you 10 times over" before carrying on as if he had merely whispered sweet nothings.Nicolene, now happily married and with five children and one grandchild - a grandchild she shares with 38-year-old Emile Cilliers, although they've never met - is relieved she managed to walk away when she did. "I feel like I've dodged a bullet. "He doesn't know how to tell the truth; he's too arrogant to believe he's not the most intelligent person in the room. "Speaking before the verdict, Nicolene said: "Unfortunately, he's always had the ability to make you believe that black is white. He's controlling and manipulative,"I wouldn't be surprised if gets acquitted. Some people just manage to get away with anything. "Cilliers is due to be sentenced for two counts of attempted murder and one count of reckless endangerment on 15 June.